I'm not sure why they didn't already do this tbh. Transferring should just reset your ranks. There has always been a problem with people transferring to steal rewards from lower population servers. 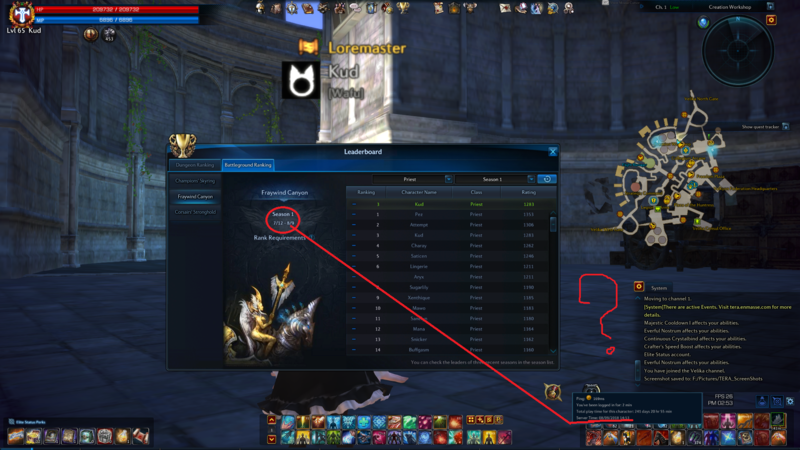 When Fate of Arun came out, most of the Cutting-Edge titles on lower population servers were taken by transfers who then transferred immediately off the server back to MT/TR lol. eme should freeze board util next maintenance. I came into this thread originally, just to provide a heads up of the information I had. I have no involvement in this entire situation, but have passed along all of the Feedback everyone has provided. Please do not violate our Forum's Rules through a Call Out direct at EME Staff or at me specifically. Just do an emergency maintenance. Prove to us that you guys care about the remaining playerbase we have left to do something about your mistakes and miscommunications. If nothing is done I see a lot of people moving on from this game. EME is basically telling the playerbase to go to other games, aka one that just came out today for PC. i agree with you.. eme if you really care about ur player base you gonna do something about it quickly. I feel like people who worked for a rank last season got robbed of rewards because there was no rewards last season, rewards only first started this season.